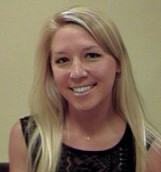 Ms. Kelly Hueter is one of the Senior Medical Office Coordinators of the Jerome L. Greene Sjögren’s Syndrome Center. She has worked for the Johns Hopkins Medical Institutions since 2008. She is responsible for a number of clinical administrative tasks, the most notable being the arrangement of new patient evaluations. This requires scheduling of multiple physician appointments and tests over a 1-2 day period.